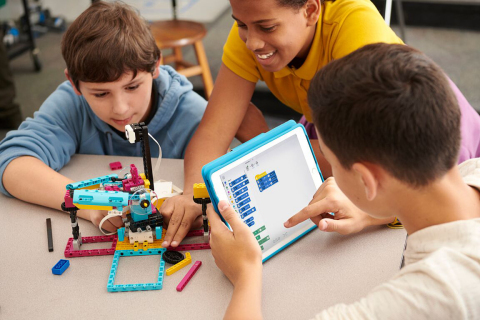 Today, LEGO® Education announced LEGO® Education SPIKE™ Prime, the newest product in the LEGO Education hands-on STEAM (Science, Technology, Engineering, Arts, Math) learning portfolio. SPIKE Prime brings together LEGO bricks, a programmable, multi-port Hub, sensors and motors all powered by the engaging SPIKE app based on the Scratch coding language. The SPIKE app includes lessons aligned to certain standards and many being able to be completed within a 45-minute class, making it easy for teachers to take SPIKE Prime into the classroom.